What's more fun than shooting ballistic gelatin with a powerful gun? 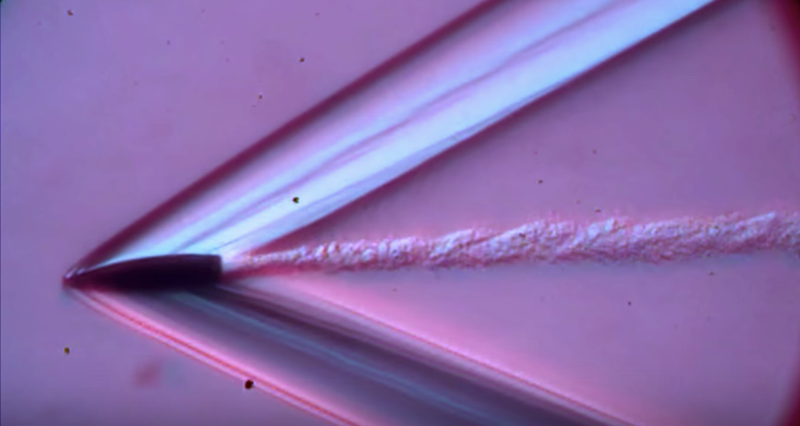 Watching slow-motion bullet shockwaves in the gel after shooting it with a powerful gun! What's more fun than shooting ballistic gelatin with big bullets from a powerful gun? Watching the slow-motion bullet shockwaves in that ballistic gelatin after shooting it with a powerful gun! Ballistic gelatin is a great medium for shooting to test bullet expansion, wound channels and such. It was originally developed for ballistics testing to replicate human tissue and muscles. Because we can see into the gel it's great for things like videoing bullets or arrows being shot into a block. That's what you can see in this video from Smarter Every Day. It's a cool series that breaks down scientific stuff for we average folks who don't understand physics and such. Take a look at what's going on with this .300 AAC Blackout round when shot into gel.